Since 1868 paint manufacturer of Protective coatings. Production, R&D and sales from Leeuwarden, the Netherlands. Zandleven is the brand known for the protection of steel! The production facility, mainoffice, engineering (R&D) and sales in Germany and Europe from Ganzlin, Germany. The Benelux served by Zandleven Powder Coatings B.V. Leeuwarden with R&D, testing and sales. Member since 2003 of the Transocean Association. hips, off-shore installations, industrial facilities and pleasure crafts. 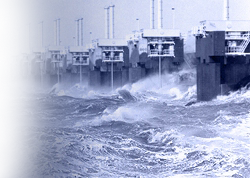 Founded in 2012 as the project consultancy and inspection company for the Zandleven Group. As a project partner for supporting and taking care of your project from design till build. Transunilac, Transolac, Transoprene, Transvinyl, Transpoxy, Transvinypox, Transacryl, Transurethane, Transozinc, Transoweld, Transurethane and Ganzlin. We will guide you from design till build.